Lynn Jurich puts residential growing pains into perspective. The solar stock slump and a slowdown in residential-sector growth don't change the long-term health of the industry, said Sunrun CEO Lynn Jurich. Speaking at GTM's Solar Summit on Wednesday, Jurich lamented the short-term perspective that many analysts and investors -- and even industry professionals -- have on solar trends. "We [as an industry] are getting so myopic, and the macro trends are so in our favor," she said. The industry benefits from three ongoing trends: the declining cost of solar, a growing recognition by regulators of the value of distributed resources, and the emergence of energy storage technology. "The long-term growth rate in this market is incredibly strong," she said. The national residential installers have faced slower growth recently, with top-five players Sungevity and NRG Home exiting the market altogether. Installation leader SolarCity (now Tesla) pulled back on growth and focused on profits, eliminating its door-to-door sales, among other measures. Sunrun, though, had moderated its growth expectations all along. It hasn't had to apply the brakes. Jurich attributed this to planning on a four-decade time horizon, rather than chasing "the flavor of the day." The company uses in-house installation teams as well as installer partners. That allows Sunrun to leverage the efficiencies of an integrated national company, while supporting and profiting from the success of local long-tail companies. Sunrun's approach to financing is also different from national competitors. Leases and power-purchase agreements have dominated the national model, reaching a market share peak of 72 percent in 2014. With lower system costs, direct ownership has become more popular. GTM Research predicts that customer ownership will overtake third-party ownership this year for the first time since 2011. 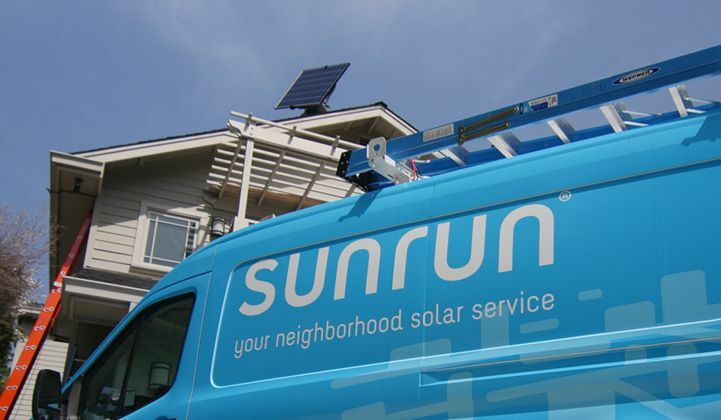 In its first-quarter earnings, Sunrun reported that 93 percent installations were leased. That's the highest share since the third quarter of 2015. Leased projects make up 89.1 percent of the company's cumulative deployments. That high share of leases reflects customer preference, Jurich said. The company offers cash and loans too, but the vast majority of customers still prefer options that don't require considerable upfront spending. She also said that consumers prefer to have a third party providing a system-lifetime service. Jurich also commented on customer acquisition techniques and costs -- a topic that is getting a lot of attention in the industry. "It’s referrals, 100 percent referrals -- it's your reputation in your community," she said. "It doesn't serve the industry at all to be aggressive in that process." Pushing the hard sell takes time and money, and ends up hurting the lowest-cost acquisition model, the referral, she noted. She also said that obsession with customer acquisition costs is misguided. When considering the lifetime value of a PV system over decades, the cost of signing a new customer is relatively low, said Jurich. The Wall Street Journal recently reported that the Securities and Exchange Commission is investigating whether Sunrun and SolarCity properly disclosed how many customers cancel after signing up for a solar contract. The speculative reporting misunderstands the solar sales process, said Jurich when asked about the story. Sunrun customers sign an initial contract before the company sends out staff to work on the detailed custom design. When the results come back, customers naturally drop off for various reasons. The remedy is to deliver better clarity on designs earlier in the sales process, Jurich said. 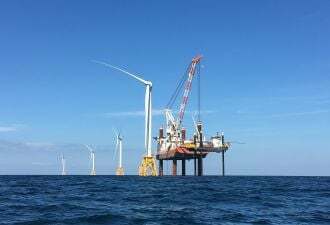 Nonetheless, that early-stage cancellation is different in kind from customers canceling after they go through with the installation, which happens extremely rarely and is reflected in financial reporting.